United Kingdom (UK) will not impose any new tariffs on Indian seafood exporters after the former parts ways with European Union (EU) in case of a 'no deal' Brexit. UK has stated that the imported seafood from countries currently benefiting from the GSP (Generalised System of Preferences) scheme of EU, including India, will continue to benefit from the same, low or zero tariffs. The EU GSP is the system of preferential trading arrangements through which the EU extends preferential access to its markets to developing countries. EU is the third largest market for Indian seafood exporters. The UK government is weighing options on the terms of quitting the EU and has recently announced the rates of customs duty (tariffs) that will apply to imports of goods into the UK, if it leaves the EU with no deal. The new tariffs will be valid initially for 12 months. The new regime would affect only imports into the UK. "According to a recent UK government guidance if the UK leaves the EU without a deal with the EU, it will apply a tariff rate of 12 per cent for imported shrimp. However, the same guidance states that the UK intends to retain the same GSP tariff preference for shrimps from India, which is 4.2 per cent", said Ivan Bartolo, regulatory affairs advisor at Seafish, representing the UK seafood industry. 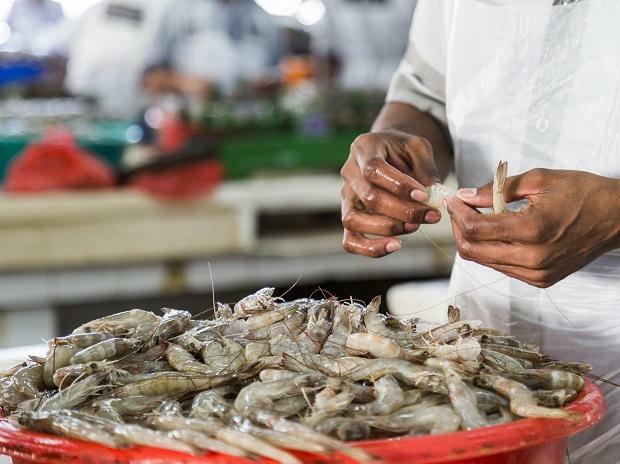 According to trade sources in UK, India exported about 13,200 tonnes, worth £90.5 million of shrimps in 2016 and 14,600 tonnes valued at £109.8 million in 2017. However, there are no plans of UK to change the testing mechanism at the moment, but this may be revisited in future, sources added. In 2016, the EU had toughened its inspection norms for aquaculture products from India. An earlier norm called for testing samples from at least 10 per cent of the consignments. This was enhanced to 50 per cent in 2016. Indian exporters are expecting a liberalized norms for trading with UK, after the latter quits the EU. EU has set stringent norms of testing of Indian products. “A free trade deal with UK( after Brexit) will always be welcomed. Apart from that a zero duty on shrimps is always appreciated," said Aditya Dash,managing director, Ram’s Assorted Cold Storage Ltd, a leading exporter in Odisha.